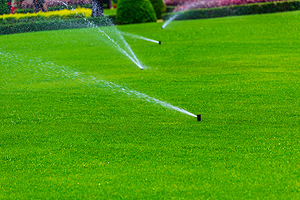 Need the Irrigation Services Champaign IL Residents Buy? Commercial Irrigation & Turf did not become the top irrigation contractors in all of Central Illinois by accident. 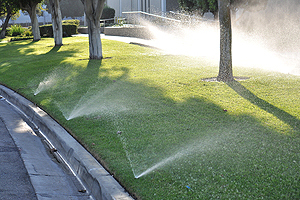 We have been the leading choice for commercial and residential irrigation for more than 30 years. It is because we specialize in custom solutions for our customers. Whether you need yard sprinklers, garden watering systems, drip irrigation systems or irrigation maintenance, no project is too big or too small. Commercial Irrigation & Turf provides the irrigation services Champaign IL locals rely on. Contact us today! “Trench-Less” Technology – We do minimal excavation during your install. Speedy Installation – Your irrigation system can be installed as quick as a few days most of the time because we streamline the process with our application tools. Automated Controls – We allow you to pick start times, watering schedules and even rain shut-off capabilities with an independent control station made for you. Full Warranty – We meticulously train our team so you do not experience hassles, leaks, blockages or other problems, but we provide a full warranty in case you do. Commercial Irrigation & Turf helps you or your client with consultation, design, specification, bidding, installation and service of all lawn and garden sprinkler systems. If you have a mid to large commercial lawn sprinkler project that was overlooked on the initial bid, count on us for help. We provide the best irrigation services Champaign IL businesses can get to bridge the void for your clients. Because there is a dry spell every year, you need Commercial Irrigation & Turf to keep your lawn green. 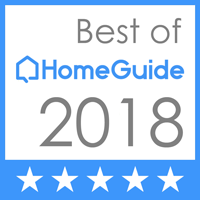 In order to get the best irrigation services Champaign IL residents can get, you should call us now at (217) 398-1494. Or use our online contact form to get in touch. Have a job outside of Champaign? No problem! We serve customers in Peoria, Bloomington, Springfield, Galesburg, Pekin and surrounding areas as well.